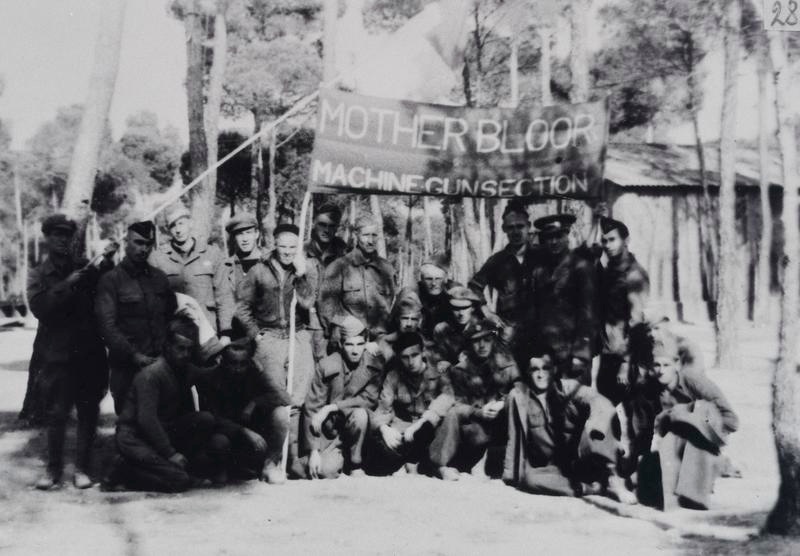 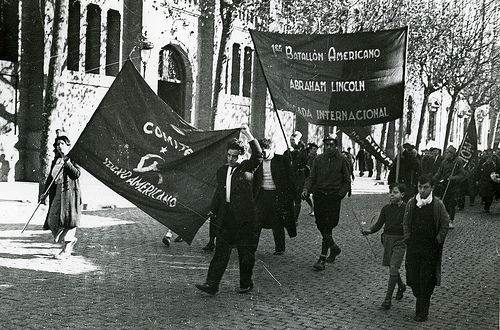 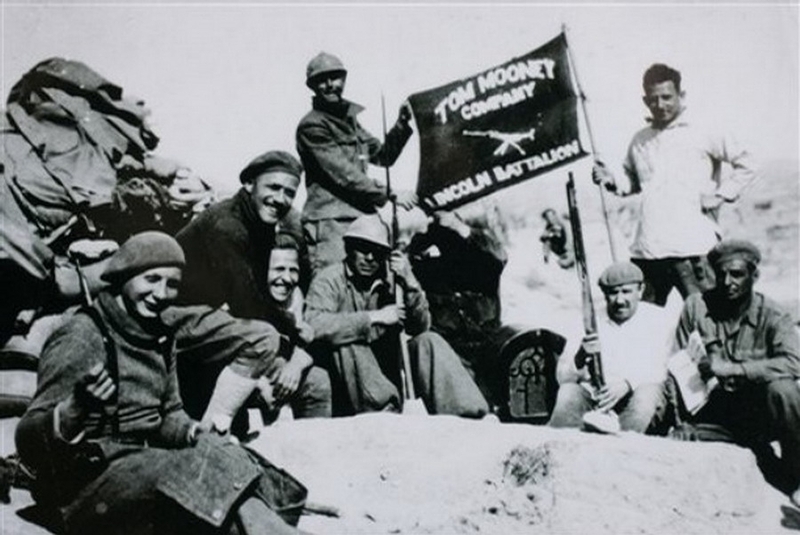 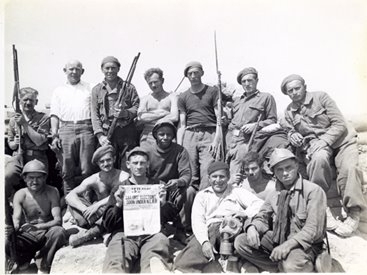 " We have come to Spain, not to involve America in a war, but to give our services in a fight to keep war out of the World "
Led by a Communist Party banner, American volunteers who would form the Abraham Lincoln Battalion arrive in Barcelona. 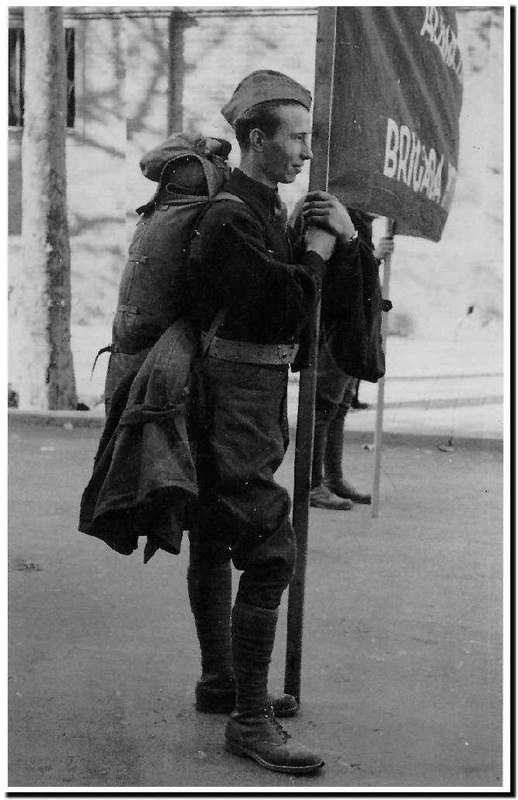 North American volunteer in WW1 'doughboy' uniform. 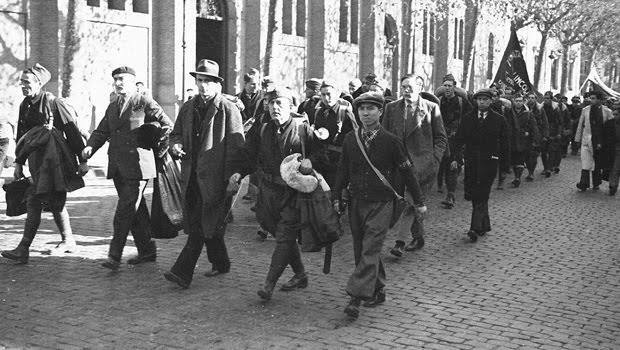 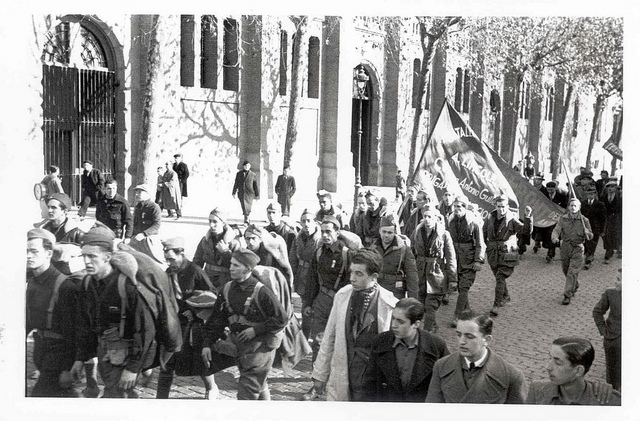 American and Cuban volunteers arrive in Barcelona, passing by the Karl Marx Barracks. 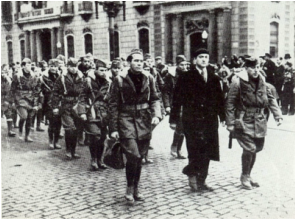 Abraham Lincoln Battalion Volunteers arrive in January 1937. 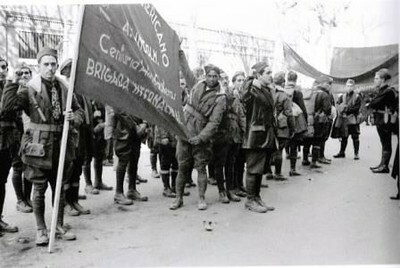 Cuban Volunteers of the The Centuria Guiteras with their banner. 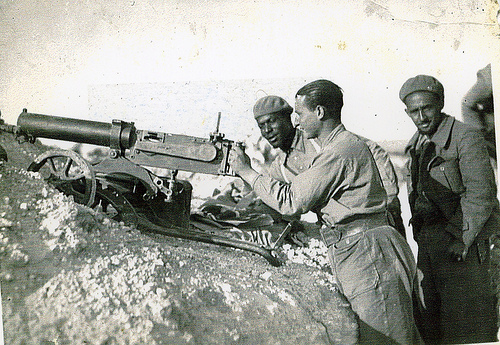 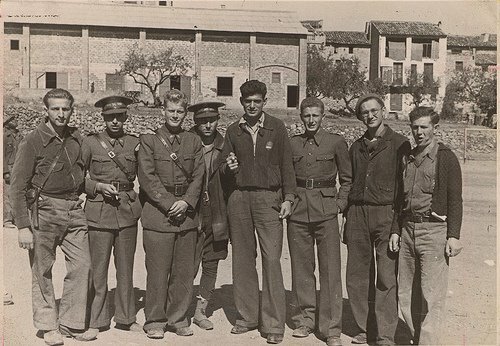 "1er Batallón Americano , A Lincoln, Centuria Antonio Guiteras, Brigada International.” The Centuria was one of the three sections making up the first infantry company of the Lincoln Battalion, and was formed in late January 1937. 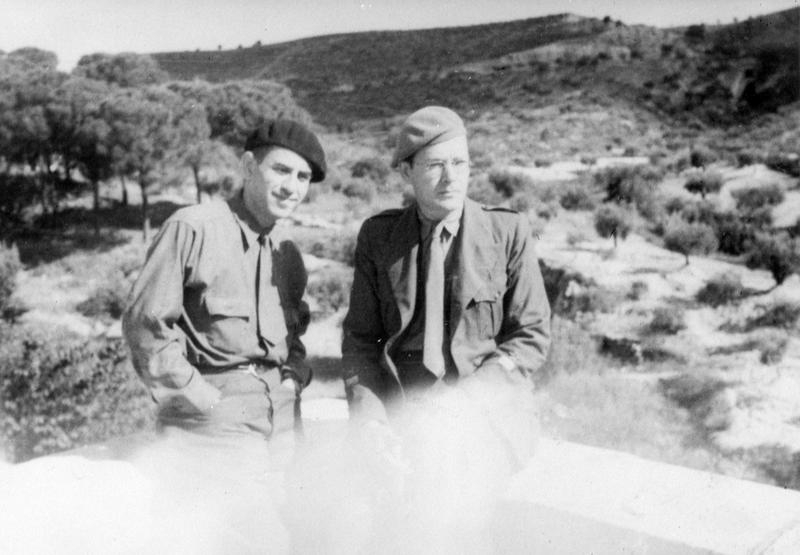 Jarama: Lincoln Battalion members Juan Castro, Captain Van Der Bergh, Marty Hourihan. 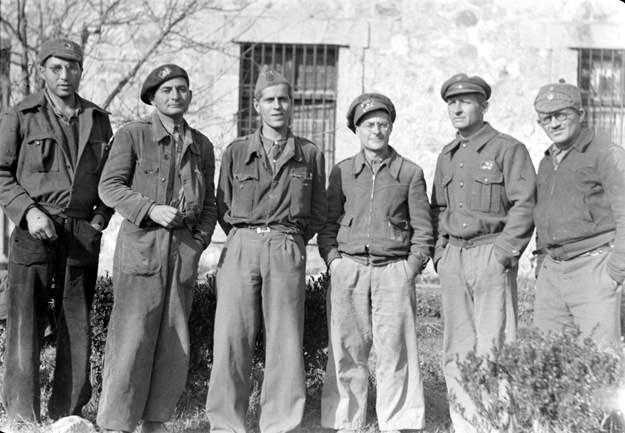 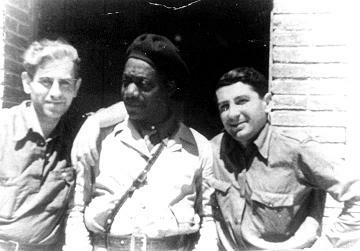 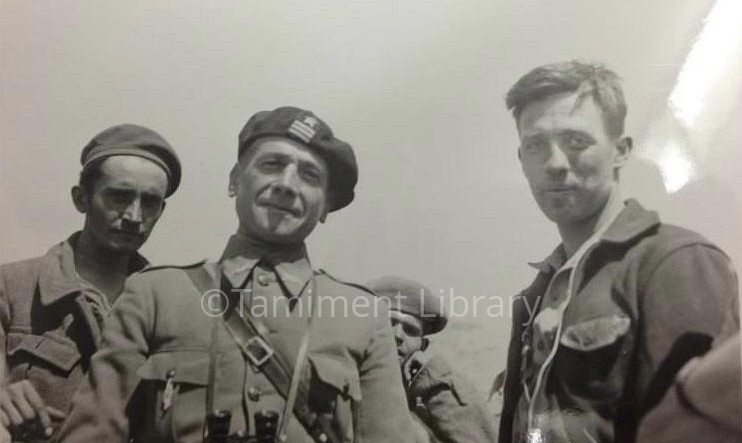 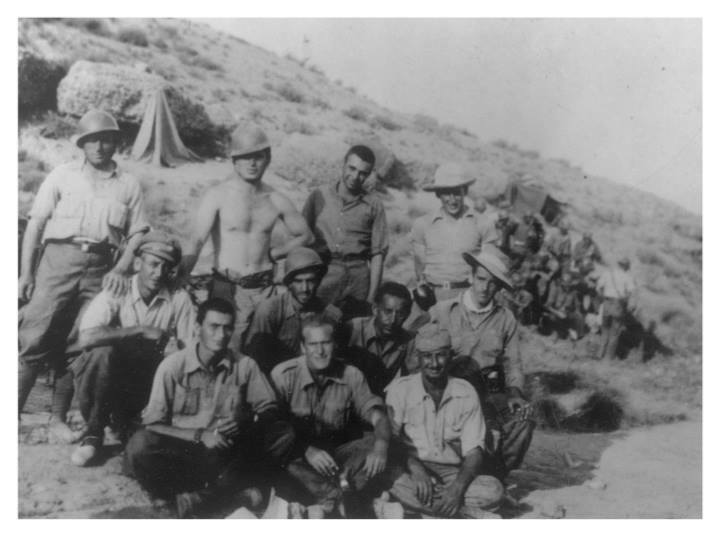 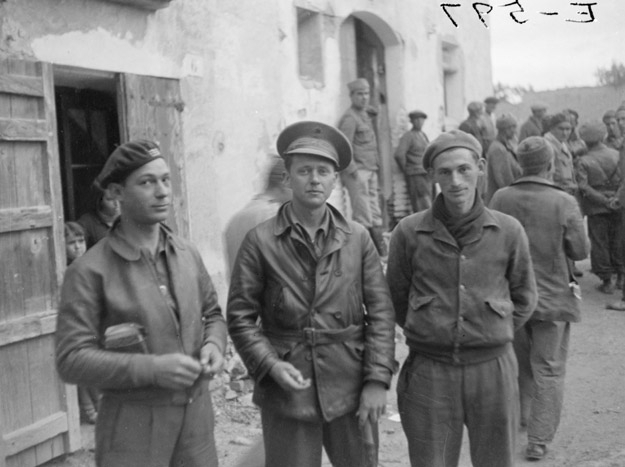 left: Bill Lawrence, XV International Brigade Commissar at Alabcete, Harry Haywood and Ed Bender of the Cadre Service. 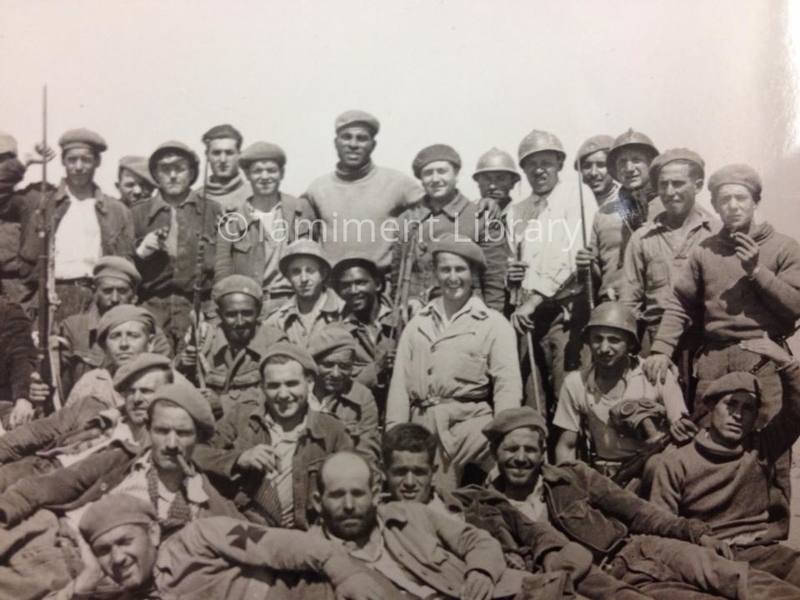 Cubana Hermosa with Comrades at Jarama. 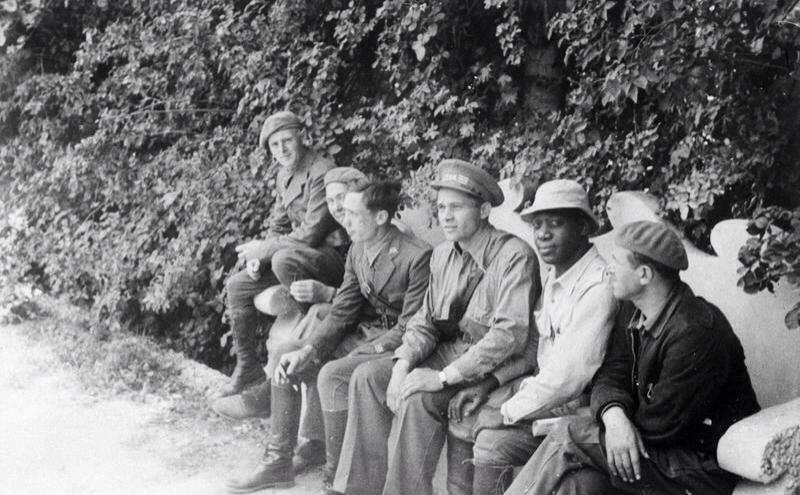 Oliver Law (third right in officer's cap) at Villauneva de la Canada. 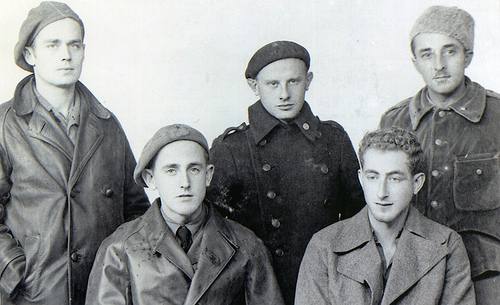 Lincoln's: Back row left: Joe Stone, Mome Teietbaum, Sam Stone, Robert Zimmer, John Murra. 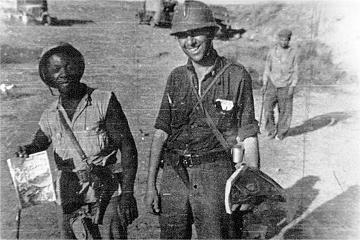 Joe and Sam Stone were both killed at Mosquito Hill 09/07/1937. 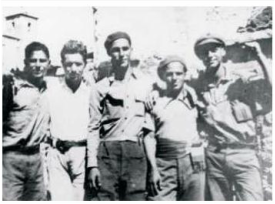 front left: Benevidio Dominguez (Puerto Rico) Jack Schulman, Joe Azar, Julius Deutsch. 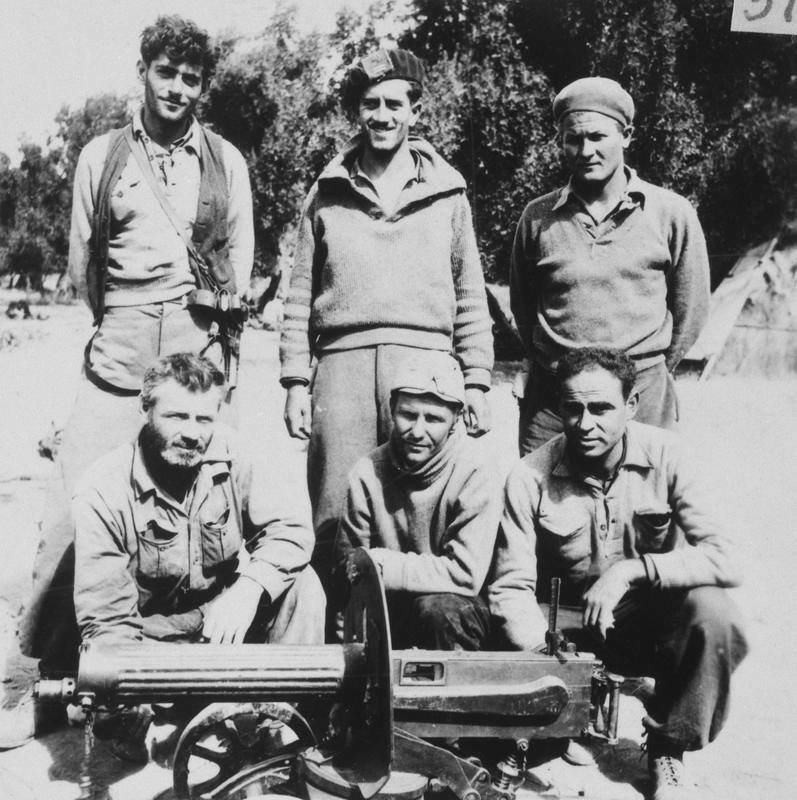 Left: Hy Stone, Eli Bieglman, Joe Stone, Jerry Weinberg and Sam Stone. 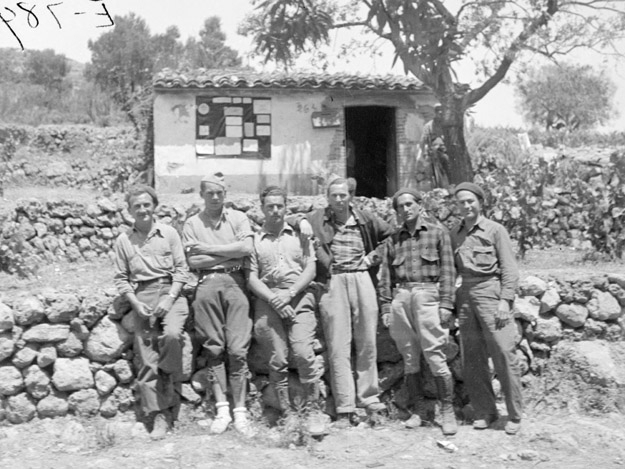 July 1938: Volunteers returning to Spain: Joe Rehill, Bill Wheeler, Joe Gordon, Joe Cobert Joe Cuban and Al Tanz. 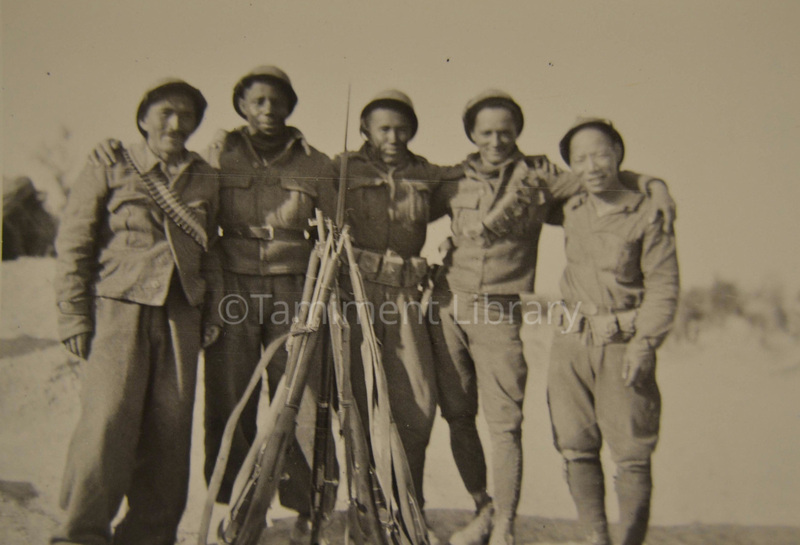 Source: Tamiment XV Brigade Photograph Collection, Tamiment Library: 11_0471. 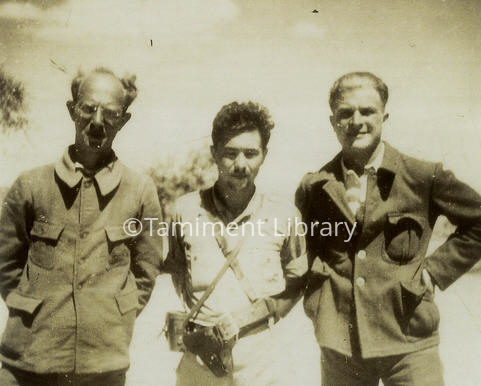 Darmos, May 1938: Leonard Lamb, Howard Goddard and Edwin Rolfe. 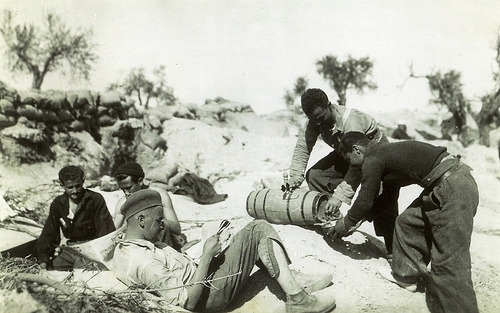 Source: Tamiment XV Brigade Photograph Collection, Tamiment Library: 11_0424. 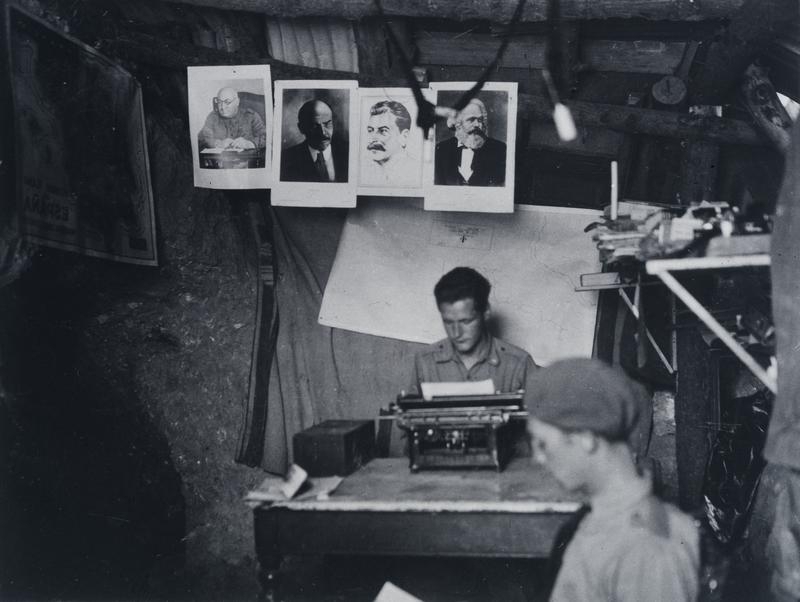 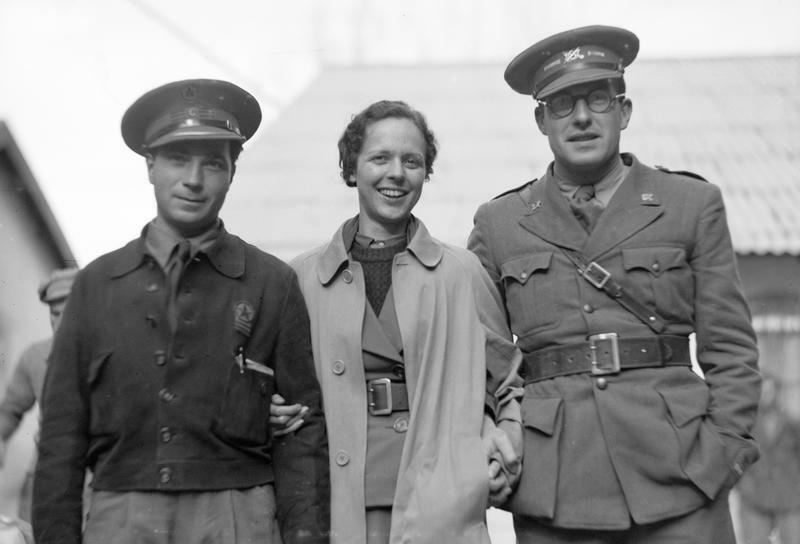 Darmos, Catalonia, Spain, 1938: Left, Nicholas Kurculiotis, Aaron Lopoff and Alvah Bessie. 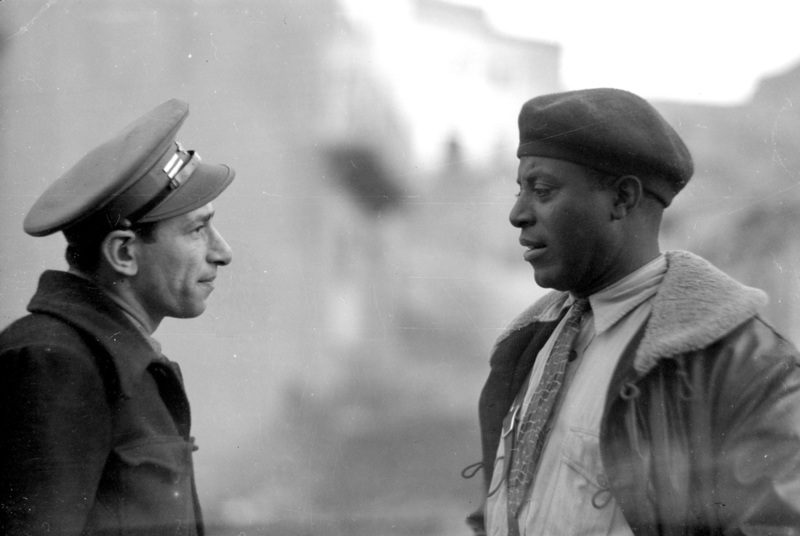 My thanks to Alvah and Dan Bessie for the use of this picture. Late September 1938: Officers of rhe Lincoln Battalion on Marca football field. 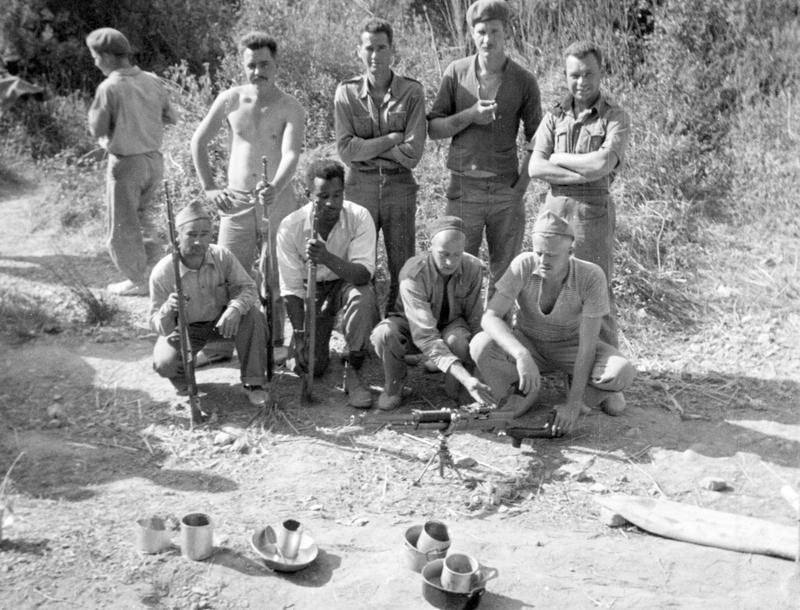 left; Larry Lustgarden, Richard Rusciano, Donald Thayer, Emmanuel Lanser, Milton Wolff, George Watt, Harold Smith, Archie Brown. 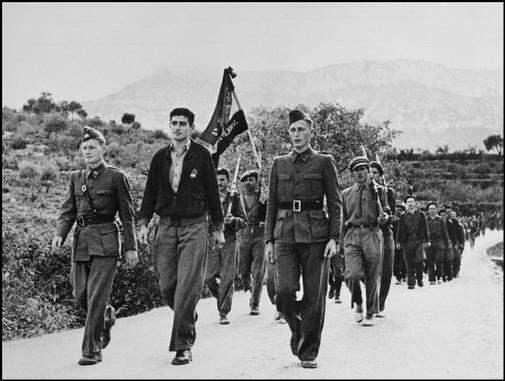 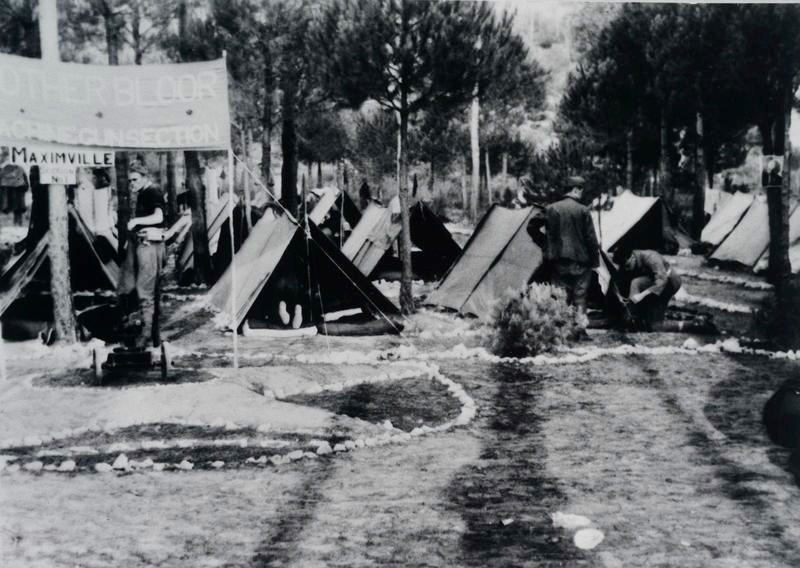 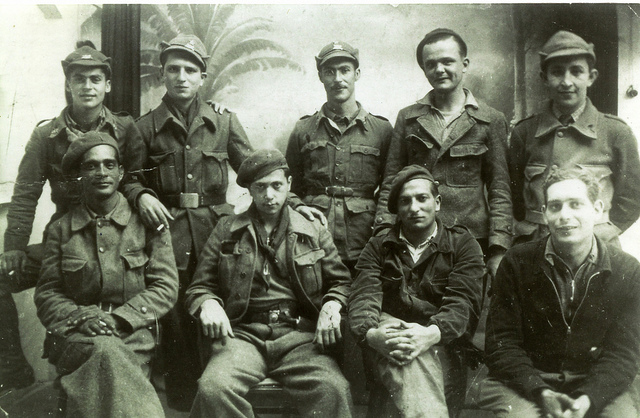 This photo was taken after the International Brigades were stood down on 23/9/1938. 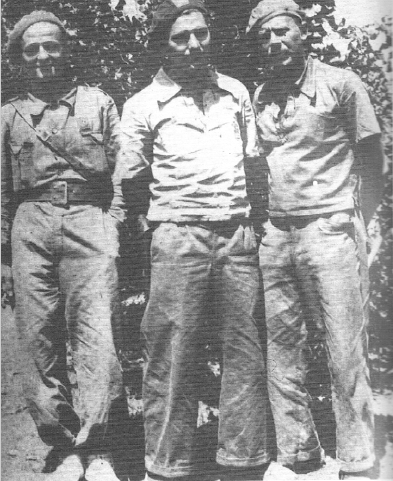 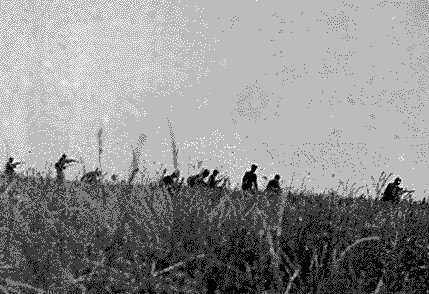 16/10/1938, Falset: The Abraham Lincoln Battalion led by Left: Captain Donald Thayer, Commander Milton Wolff, Commissar George Watt.